Carmody Construction is Plainfield’s top contractor. Located in Will County in the Chicago suburbs, Plainfield, Illinois has a population of over 40,000. As the oldest town in Will County, Plainfield has experienced tremendous growth since the 1990s. While primarily an agricultural town for generations, today Plainfield is home to a variety of new subdivisions and commercial businesses. Carmody Construction, Inc. has been completing Plainfield construction jobs for over 60 years, offering a variety of construction services to Kane, Kendall, and DuPage counties. A family owned and operated business, we are committed to exceptional customer service and pride ourselves on being a contractor you can trust with your home. Our team of installers and contractors are professional, knowledgeable, and at the top of their field. 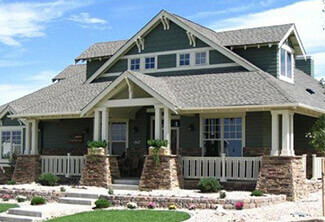 No matter the size or scope of your home improvement project, we can bring your vision to life. From window installation to siding installation to roofing solutions and installation, Carmody Construction can do it all. We’re also known for our remodeling projects, and can do anything from custom room additions to high-end kitchen remodels or bathroom remodels. To get started on your Plainfield remodeling project, request a consultation from Carmody Construction today! Live in Plainfield? Need Windows, Siding, or Roofing Services? Schedule an appointment today! Great experience with Carmody Construction. They helped me rehab my new home in Ottawa. They replaced the full roof and siding, and put in a beautiful patio door. From start to finish, the work and materials were quality and the salesmen couldn’t have been more helpful and transparent with pricing and work timeline. I would highly recommend this company.